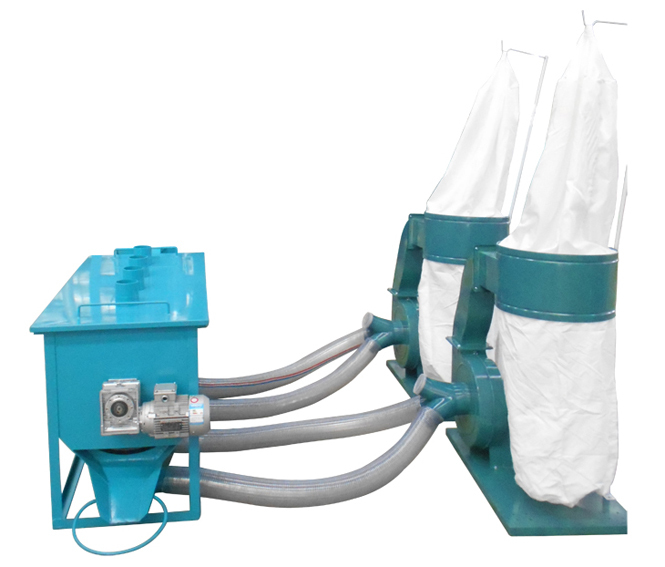 LQS series small feed mill cooler is a special equipment for cooling and sieving the hot feed pellet from feed pellet machine, called small cooling machine as well, suitable for cooling all kinds of feed pellet, such as, livestock, poultry and aqua animal feed pellet etc. Simple structure, easy operation and maintenance. Small size, covering a small area. Low consumption, but high sieving rate. Sieving hole is not easy to be blocked, ensuring longer life time. How does the Small Cooling Machine Work? The small cooling machine is mainly composed of shell frame and drum, with the drum having a certain angle with the ground level, integrating functions of cooling and sorting. When the small feed mill cooler is working, the motor connected to the drum device through the reducer drives the drum device to rotate around its own axis. As the formed feed pellet enters into the drum from the feed pellet mill, it will be overturning and rolling on the sieve surface due to the angle between drum and ground, and then the qualified feed pellet will be discharged from the back door of the drum, meanwhile the dust and broken feed pellets are placed out by the packing auger. Finally, cooling and sieving are finished. 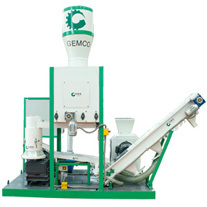 Feed pellet plant is series of equipments connected together to realize continuous feed production. Although cooling processing is the last process, it is very important for quality of final feed pellet. 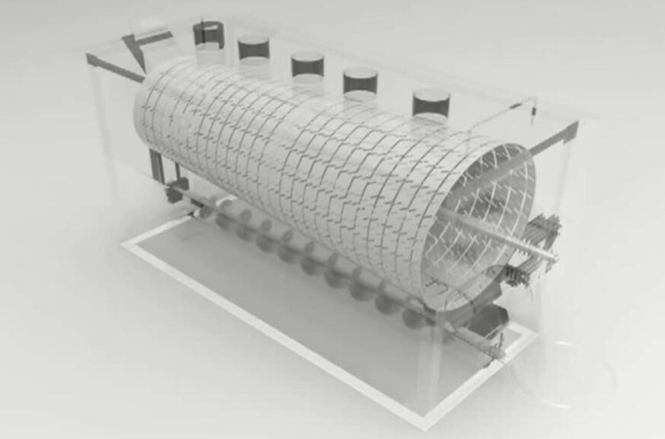 Usually, small feed mill cooler is connected to draught fan through air inducting pipeline, so that the dust will enter into the dust collector while the cooled feed pellet is placing into the packing bags through the discharging hole of small cooling machine. We can configure different small cooling machine for different small feed plant with different requirements. It is widely known that feed pellet is formed in high temperature and pressing, thus the finished fresh feed pellet has a high temperature. Packing the hot feed pellet in to bags will result the steam which makes the feed pellet easy to go mouldy, harmful to animal health. 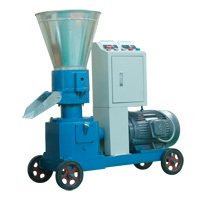 Decreasing feed pellet temperature from 70~85℃ to close indoor temperature, small feed mill cooler has high efficiency ensuring the continuous feed pellet production. 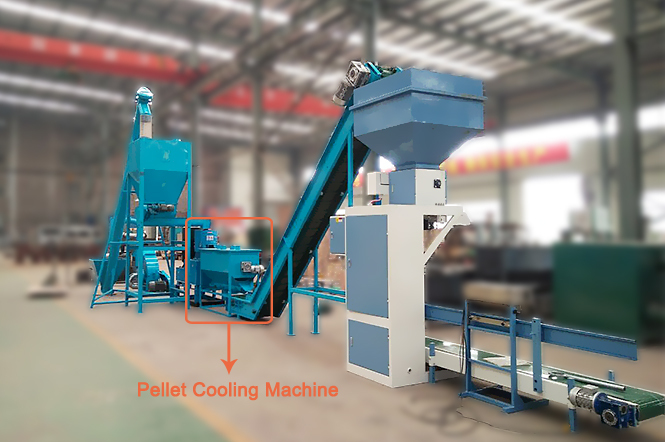 Besides, small cooling machine can cool the feed pellet meanwhile sorting them, further improving the feed pellet quality, very suitable for your small feed pellet production.